McNair, Maine's state poet laureate from 2011-2016, read aloud a poem ahead of Mills' inaugural address titled "The Song for the Unsung." In it he spoke of those unsung and overlooked, the hopeful starting again, and persistence. Originally from New Hampshire, McNair has lived in Mercer, Maine, for many years. 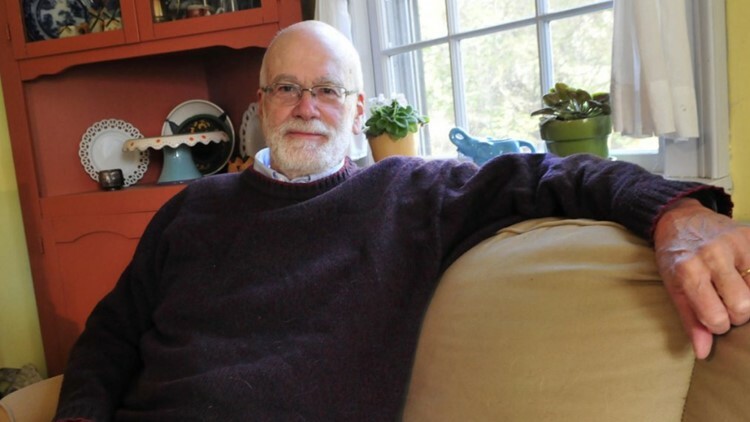 He has won numerous awards, authored 10 volumes of poetry, and is currently a professor at the University of Maine at Farmington. 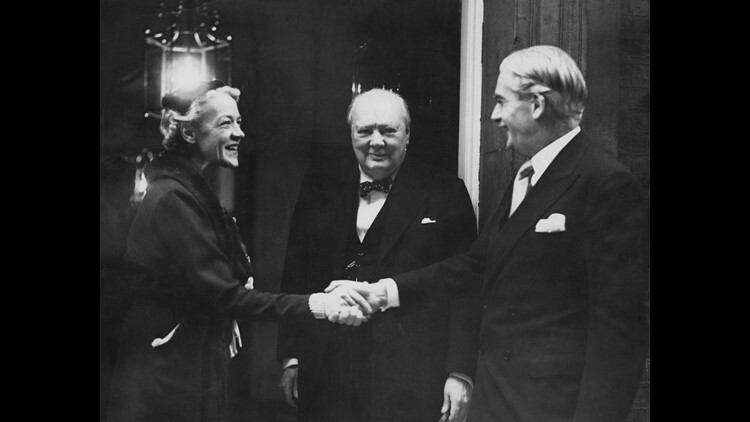 From left to right, US politician Margaret Chase Smith (1897 - 1995) with UK politicians Winston Churchill (1874 - 1965) and Anthony Eden (1897 - 1977), circa 1952. Former Sen. Margaret Chase Smith served four terms in the U.S. Senate, which at the time had never before been accomplished by a female senator. She was a candidate for the GOP nomination in the 1964 presidential election. 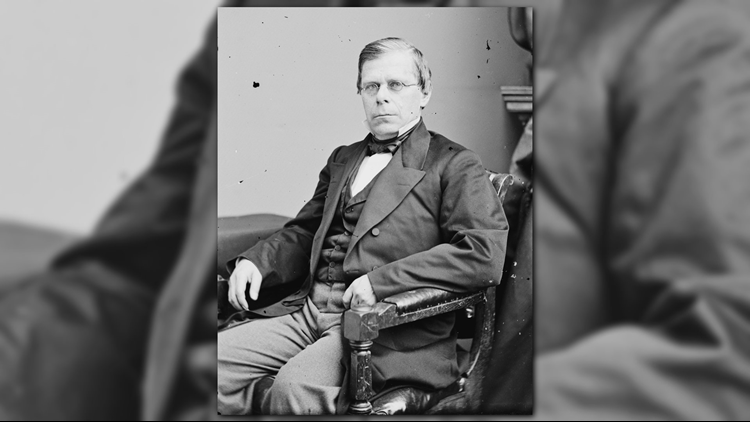 Sen. Smith was a friend of the Mills family, living in nearby Skowhegan. At the event of each birth of Janet Mills and her siblings, Sen. Smith penned a personal letter to their mother Kay. Her letter to Janet began with: "Dear Janet, I am delighted that you have arrived." 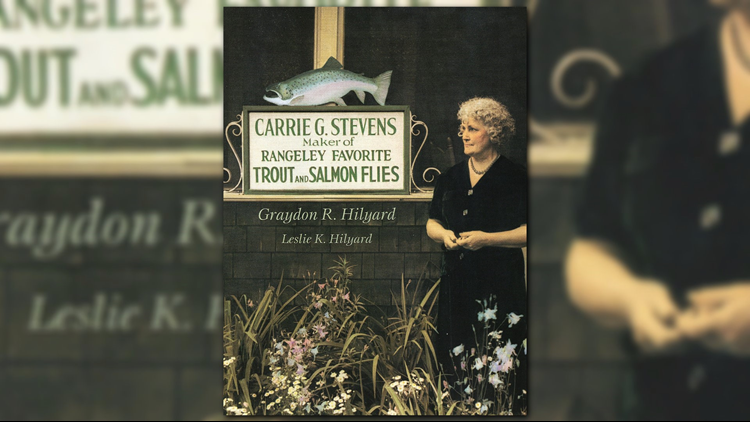 Stevens was a well known fly fisher who gained fame with the advent of the Grey Ghost Streamer, an artificial fly used to imitate smelt and catch trout. 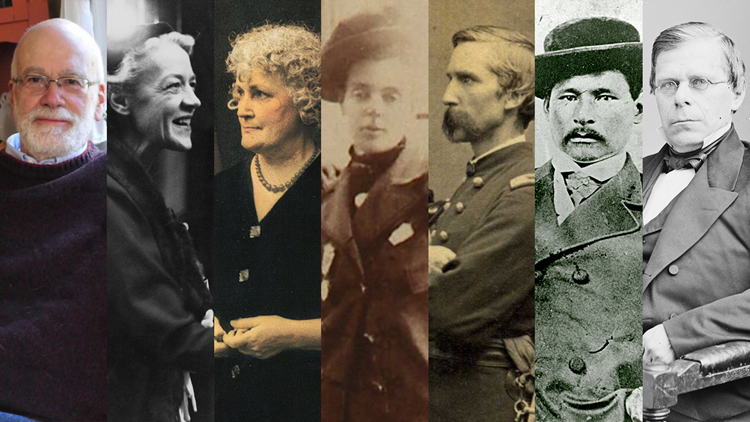 "Carrie Gertrude Stevens Day," commemorating her contributions to the sport. "Fly Rod" Crosby was Maine's first licensed guide and an enormous promoter of the Pine Tree State. 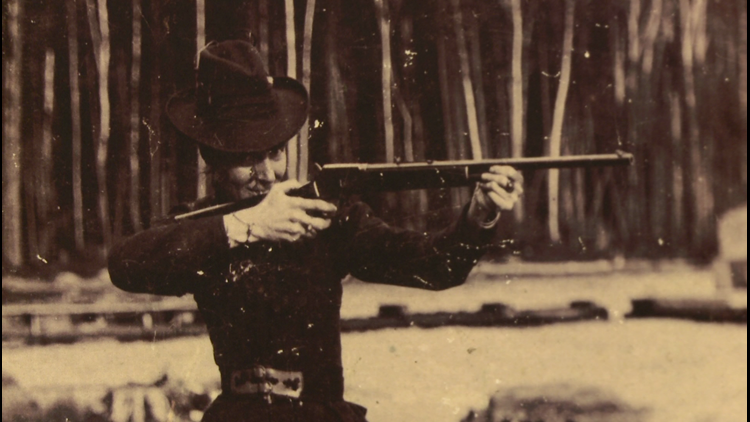 She wrote a nationally syndicated column which attracted many outdoorsmen to Maine, and is also credited with bagging the last legal caribou buck in the state of Maine. 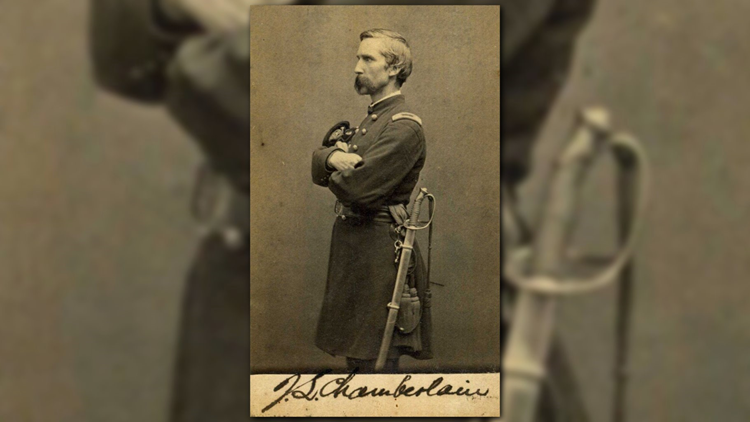 Joshua Chamberlain in the uniform of the Union Army. Chamberlain, who served as Maine's 32nd governor, is best known for his valiant leadership as commander of the 20th Maine during the Battle of Gettysburg in 1863. Thirty years later, he would be awarded the Medal of Honor. 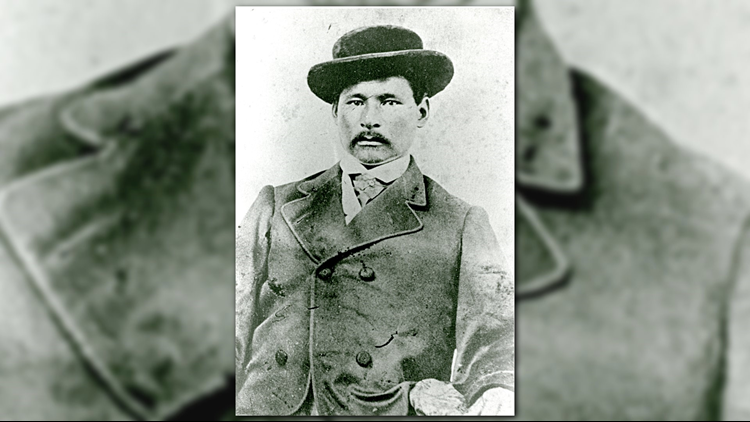 Attean is considered by the Penobscot nation's people as their last hereditary and first elected chief. He served as a guide for author Henry David Thoreau. Washburn Jr., Maine's 29th governor and a U.S. congressman from 1851-1853, led an anti-slavery battle to defeat the Kansas-Nebraska Act of 1854 and is widely cited as one of the founders of the Republican Party.